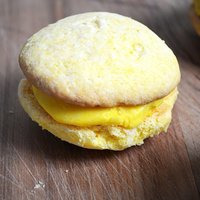 Has 78 recipes, 13 public recipes. Has 310 flavors in inventory. Zugmaschine supports All The Flavors. Upgrade yourself. My take on Lemon Cheesecake! 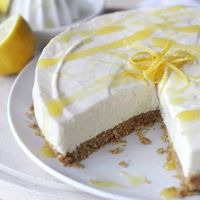 A wonderful, tasty Lemon Cheesecake, with a hint of Vanilla and a very nice, apreciating Almond Backgroundaste. My wife love it to add some Cooler! Add some sweetener if you need, but there are some sweet flavours inside, so i think there is no need. Actually i was working on a base, but i love this Custard Mix pur to much! A strong vanilla taste, with a hint of lemon. I can imagine, the people who like a stronger lemon can add some FA Lemon Sicily and it works fine. My take for the #DIYDOWNUNDERAUGUSTCHALLENGE. 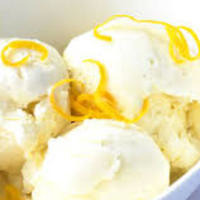 A simple but dairy, tasty Lemon-Vanilla Icecream with hints of pie. The Lemon(most by inhale) fades a little, but is enough to by a good counterpart to bring the Vanilla in Front by exhale. The pie give a little texture. Its the game between the Sourness and the Vanilla what brings the taste in front. The lemon is fading a little, but after 5 days its exactly how i like it. its strong enough as counterpart for the vanilla. If you prefer a stronger lemon taste, you can increase the FA Lemon Sicily or try a other lemon flavour. You can also add some sweetener & a Cooling-Agent, if you wish! For me its perfect how it is! TPA Bavarian Cream is important to bind all together. A Variant to extend lovely Calipitter Chow. to taste stronger on the exhale and linger longer on the tongue. The well proven Cake Part( INW Biscuit & FA Cookie) to give this mix a tasty Texture. You can lower the % of Calipitter Chow to your taste, but i like it that high! Give it some days to steep. Most for the cake part. I love the Strawnana from Ken O`Where, what inspired me to make this Recipe. MTL in my Squape E, with 1.2 Ohm and 15 Watts ....... I LOVE IT! but give it 3 days to come together. U can sub the SB with Strawberry Sweet from Jungle Flavour. Have changed the Strawberry to Capellas Sweet Strawberry and increased Loarans BC to 4%! [After 36 hours, i want die for! A wonderful flavour! I use a high amount, that it can stand up against the other heavy creams. After 10 days, the Butterscotch was a little to strong. to a German Butterscotch Ice Cream. Thats it! Saw that the Butterscotchtaste mutes after a few weeks. to be more prominent. 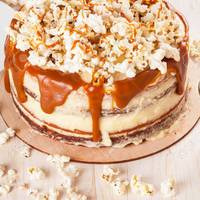 Als switched from TPA Caramel to FA Caramel, because it works better with the Buterscotch. 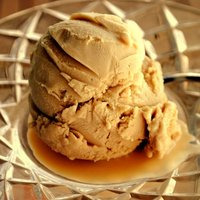 A super Creamy & Yummy Hazelnut Ice Cream! 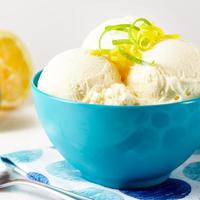 LB Vanilla Ice Cream Its the best Ice Cream for me so far and builds the Base! TPA Bavarian Cream extends the Base and builds the first part of the Bridge between the Cream and the Caramel/Hazelnut, because his soft Caramel Notes! DIYFS Holy Vanila a creamy, rich Vanilla. It boost also the Vanilla Notes in the other flavours. This result in a great Vanilla Exhale. 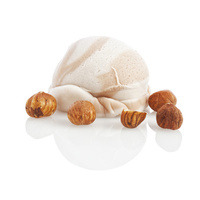 WF Hazelnut & Cream a fantastic Hazelnut. Potent and reaistic! Helps also to make the Cream richer and smoother! MPV Caipitter Cow builds the Bridge from Bavarian Cream, to the Hazelnut Notes! 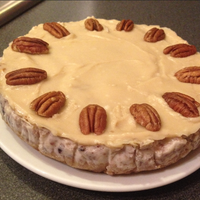 Adds also a Hazelnut-Layer with sweetnes and Creamyness! Not at least, a nice Vanilla Note. 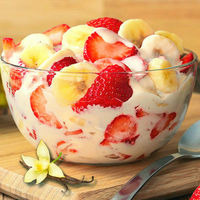 Is nice, sweet, tasty and delicious! Its damn good. For me, to much Flavours and to much creams, to be a SNV. What means "yc" behind Innawera Waffle? Looks good. Iam a big custard fan. Will mix a 30ml batch to test. Really nice Custard! also some cake ist there, from the Cheesecake. Its really a very good recipe. Well balanced and a very good taste. I will go in my rotation for sure! Thanks for that good recipe. Top ADV Juice. After a 6 weeks steep, very tasty. All is coming well together. A nice fruit cereal taste. Will make a bigger batch and add some Strawberries. Thanks for that recipe. Was to weuak for me, in a MTL-RTA. But i have doubled the flavours, and after 14 days steeping, its a really nice Caramell-Almond-Custard. Iam disapoint. After 3 weeks nearly zero strawberry taste. The rest is nothing special. Iam really sorry but there are much better Strawberry Creams out there. First it was terrible, because the Cake Batter. After 3 years my taste have changed, and i looove this mix! Also S&V! Really nice, simple filling, but need definitly some more crust. I add 0.5% FA Cookie. Some AP will also work.